Greetings! How has your summer been? I have enjoyed warm bright days while, sucking on sweet juicy mangoes or a juicy slice of a hydrating watermelon along with the waves of the sea massaging my body. It sure has been some of the best days to reside in my memory for 2014. The days are starting to shorten hinting to us the fall will soon set in and the children are back in school from their fun-filled summer vacation. Now that our children have returned to school, I am going to share to four tips for healthy lunch box building so your child can eating for better brain function. Statistics show that ADHD and obesity are common among children. The National Institute for Health reported “over the last two decades, this number [of overweight children] has increased by more than 50 percent and the number of ‘extremely’ overweight children has nearly doubled.” Also different studies have hypothesized a link between obesity and ADHD. Note that good nutrition aids the focus and the productivity a child and since a child is built from the genetics of his or her parents, as well as the nutrients provided during nurturing years. The way your child is nourished is the vehicle that can turn health debilitating genes on and off. Hence one can prevent disease and change the brain’s structure. Who is down with providing nourishing meals and healthy lunches for their child (ren)? Why not start early, to prevent degenerative diseases that are experienced later on in life? In recent years studies published by the American Medical Association and Archives of Neurology have shown that people with a diet that includes antioxidant rich fruits and vegetables, whole grains, fatty fish and low refined carbohydrates as well as saturated fats tend to function better mentally. Kick out fast burning carbs: There is an abundance of evidence that shows that continuous high insulin spikes are the effects of consuming refined carbohydrates like refined grain based bread, pasta, cookies, sugar galvanized soda pops or fruit juices. These types of “food” will eventually weaken your sugar metabolism (similar to Type 2 diabetes) causing damage to blood vessels and accelerated aging. Provide your child with slow burning, low glycemic, and whole food carbohydrates. Substitute refined grains and pasta, sugary drinks and snacks with whole grains, nuts and seeds, fresh fruits and their juices along with water. Choose fats wisely: Did you know we have a fatty brain, at least 60% of its matter! Hence fat plays a vital role in the function of the brain; they aid in the transmiting and receiving of information, and maintain other cell functions such as energy production. I am sure most want to feed their child’s brain for academic success with anti-inflammatory, omega-3 essential fatty acid DHA rich fats. A study by Ann Charlotte of the Medical University of South Carolina showed, “that a diet in high trans fatty acids leads to learning disabilities”. Therefore if a child is eating mostly processed cakes and crackers, French fries and fried meats loaded with trans and animal based saturated fats, it is highly likely he or she will build a different brain than a child who is eating fish, nut butters, salad dressings made with olives, almonds, avocado and eggs. I recommend avoiding products with trans fats (ie. soybean oil, corn oil, canola oil and margarine). 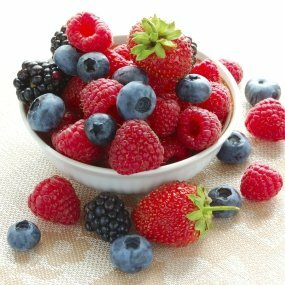 Include more berries and leafy greens: It is commonly known that antioxidant rich fruits (especially berries) and vegetables prevent oxidative stress. Hence they are the “life savers” of our cells. Cell damaging is a natural occurring phenomenon that occurs as the body ages. Include berries like blueberries and strawberries; they are a great addition to any breakfast, snack or dessert because they are rich in antioxidant flavonoids. Leafy greens vegetables are also loaded with antioxidants and brain boasting B vitamins. It is a great advantage in developing a child’s palate with healthy nurturing foods and it will surely pay off in the long run as far as cognitive development. Spice it Up: When we season food we commonly think of seasoning salt or sugary barbeque sauce. Food can be tasty and appealing to the pallet with other spices and herbs. Introduce these to your child’s pallet as soon as possible to curb salt and sugar addiction. It is noted that India has the lowest occurrence of Alzheimer’s disease partly because the love of curry (curcumin, a compound found in turmeric). There are also other antioxidant rich herbs and spices to include in daily meal preparations such as cloves, cinnamon, oregano, thyme and rosemary. Start experimenting early with your child’s pallet. Equipping your child (ren) in having a successful academic year starts at home, that and a nurturing environment. Love, support and relationships are usually touted for a child’s academic success in schools, but don’t forget nutrition also has a role in their cognitive development. Begin a brain-healthy lifestyle as soon as possible! Kick out slow burning carbs, choose fats wisely include more berries and leafy greens, and lastly spice it up!